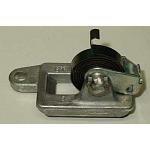 We carry a wide range of choke thermostats for automotive and marine carburetors. Divorced choke thermostats are located on engines intake manifold. 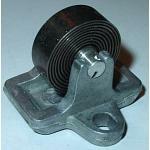 Heat or exhaust gasses from intake manifold heat the chokes bi-metal coil spring. (May be electrically assisted) Divorced chokes are also known as Crossover Chokes. 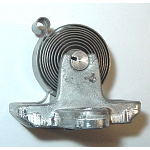 Electric Choke is mounted on side of carburetor casting. 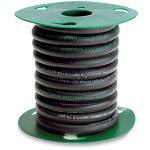 12 volt electric heating element heats up bi-metal choke coil spring. Hot Air Choke Thermostat is mounted on side of carburetor. Hot air is transferred to choke housing via metal tubes to intake manifold. 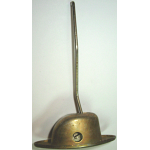 Hot air heats up bi-metal choke coil. 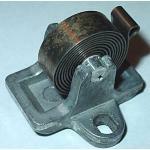 We have a large selection of Chokes for General Motor, Chrysler and Ford motor vehicles. 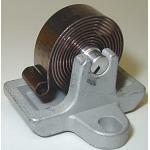 Many of our chokes are new-old stock and in limited quantities, as most are no longer produced. Hard to find. - Very Limited Quantity Available. Stock replacement choke thermostat assembly.